Gluten Free & Allergy Friendly: Craft Complete: Turning Cereal Boxes into Gift Bags! Craft Complete: Turning Cereal Boxes into Gift Bags! This past Christmas I found an idea online for turning cereal boxes into gift bags! First: Get your empty box and cut off the top tabs so that it resembles a bag. Next: Wrap your box like any other present, but do not close/ finish the end that is for the opening. Third: On the opening end, fold down the paper inside the box. You can either secure it with tape or spray adhesive. Last: With a hole punch, punch two holes on both sides. Then string through ribbon and tie for the handles. 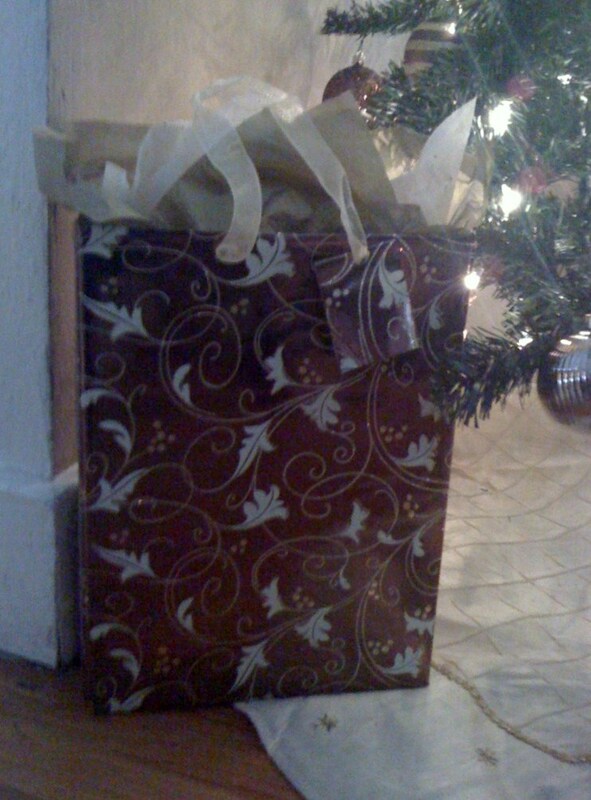 I also made the gift tag by cutting an additional rectangle of the paper, folding in half and punching in the center. I strung it through the ribbon before knotting in the bag so it would be attached (like a store bought bag tag), wrote my message inside, and ta-da! :) So simple.